Every Make Noise release feels like an event. The combination their ever-so-tactful, carefully crafted teaser images and almost cult-like online following never fail to create an atmosphere of pure excitement and joy surrounding the introduction of their new creations. 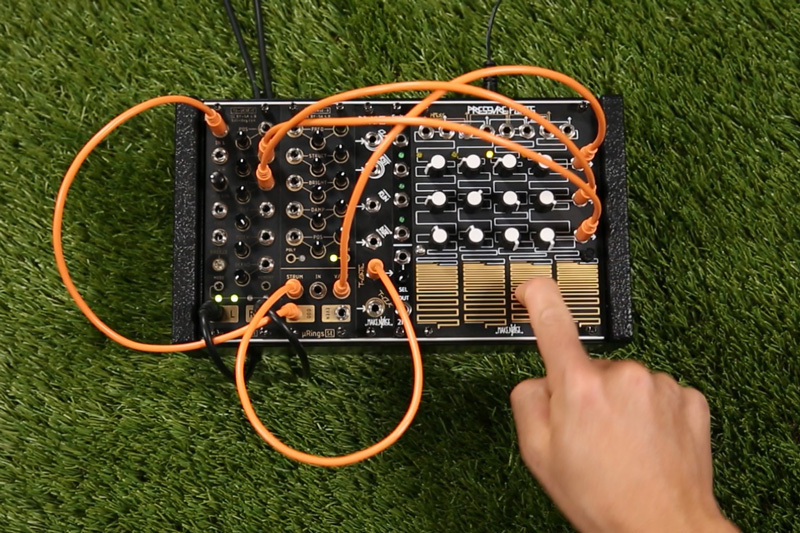 And that is to say nothing about the modules themselves: with Make Noise, every single module feels like a home run. And I do not mean "home run" just as a reflection of their success, but as a reflection of the sheer excitement of all of us in the stadium. The QPAS, of course, is no exception to this standard. 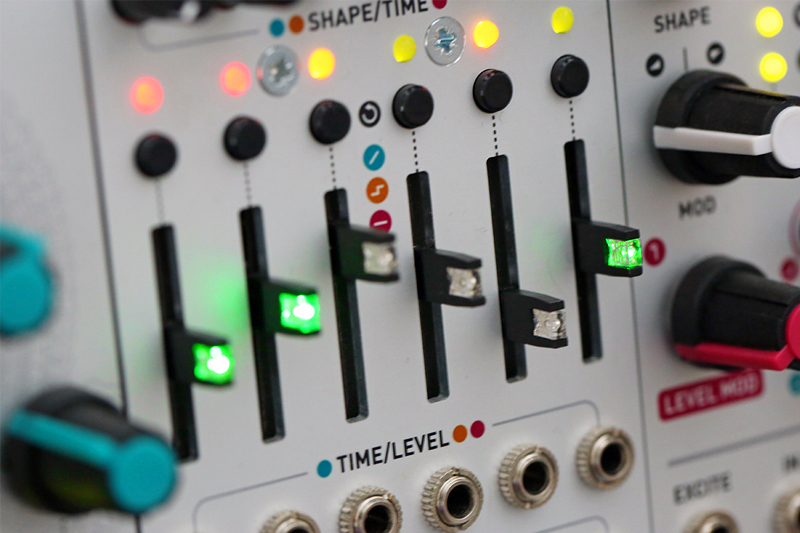 Seemingly filling a hole left in the Make Noise ecosystem left by the discontinuation of the MMG, the QPAS is a new filter in a category all its own: a Quad Peak Animation System as much about acid basslines as it is about formants, peculiar physical modeling, and mind-bending binaural mischief. We were honored to host Make Noise designer Tony Rolando on the QPAS's release date, so that he might give us an inside glimpse into their newest module's inspirations and applications. As expected, Tony did not disappoint—he left us with an evening's worth of inspiring anecdotes, compelling sounds, and deep dives into the weird world of the QPAS. In case you weren't able to make it out in person, check out our recording of the event below! I'd be remiss to not inject some personal thoughts about the QPAS; to be perfectly honest, I'm personally not generally a huge fan of filters (sigh, I know, I know...maybe we can talk about that another time). But in this case, I have to reconsider my position. 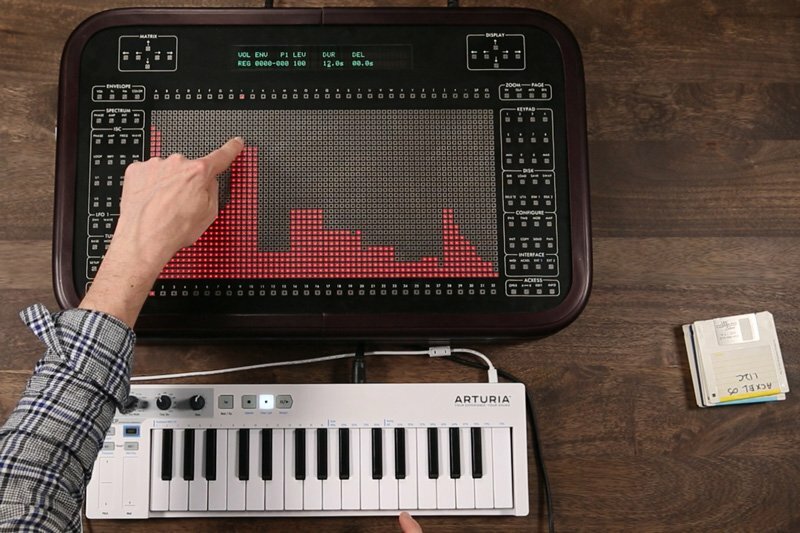 The QPAS does all the things a filter should do—smooth sweeps, raunchy acidic snarls, fizzy highpasses, etc.—but it also opens up expansive avenues for unique sound design as well. 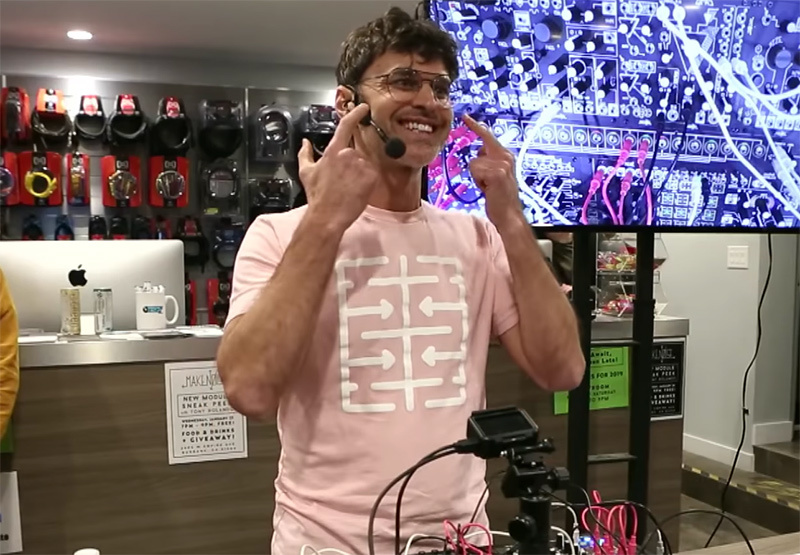 QPAS isn't just a filter: it's a binaural spatial manipulator, a modal resonator, a quad FM-able oscillator, and no doubt countless other things that I haven't yet considered. The sure thing is that it sounds amazing no matter how you twist it. QPAS offers all the controls one expects to find on a multimode filter: there is a comfortably large cutoff frequency knob, an associated Q knob, an input level control, CV for every parameter, and dedicated outputs for each filter type—highpass, lowpass, bandpass, and the mysterious SP (we'll get to that later!). One could go quite far only exploring the options offered by these basic features, but all of the other bits are what place this module firmly in a space all its own. The QPAS operates in true stereo: it offers dedicated left and right inputs, and groups of left and right outputs (four outputs for each channel, one for each filter type). There are a host of handy normalizations at work: the left input is normalized to the right input for easy mono-to-stereo action, and the left output channels act as mono outputs when the right output channels are unpatched. 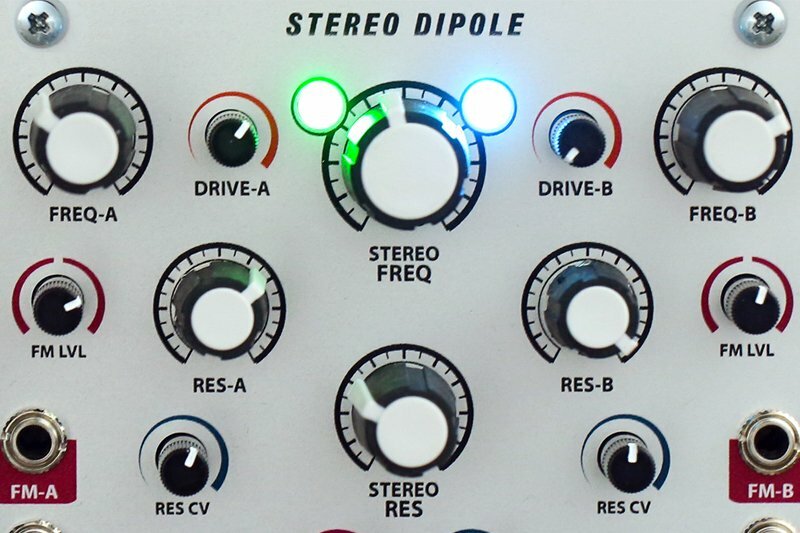 This means that the QPAS plays nicely with mono input, and can play nicely with mono destinations: so you don't necessarily need a bunch of stereo sources to take advantage of its unique features. But what's so special about a stereo filter? Is it kind of like having two of the same filter with different sounds run through them? Well, it can be—but it can be much more than that as well. QPAS divides its four cores between the two groups of outputs: two cores on the left, and two cores on the right. And while the primary Q and Freq knobs act as macro controls for all cores, the Radiate controls break things up into subgroups, allowing independent addressing of the two left and two right cores' frequencies. 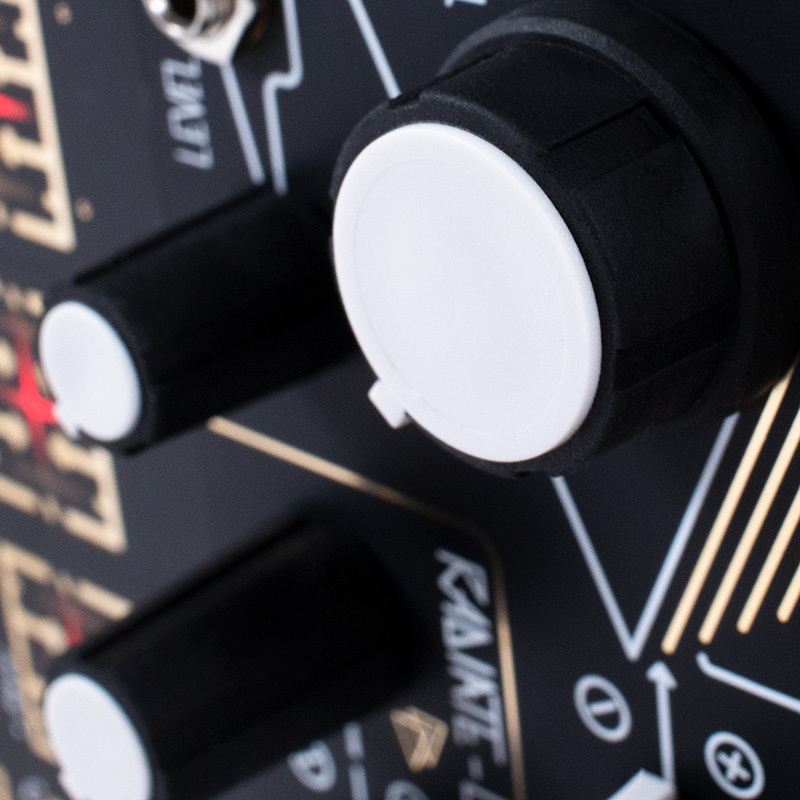 Think of the Radiate controls like detune controls, or spread controls: they control the distance that each core deviates from the center frequency defined by the main cutoff knob. So each core can actually be set to a different frequency, and each "side's" frequency spread can be modulated independent of the other side. What does this mean for stereo image? In short, it means an awful lot of peculiar panning possibilities. While VCA-based stereo panning effects involve altering a signal's overall level balance between two output amplifiers, the QPAS offers a distinct (and much more novel) approach centered around altering the spectral profile of the two sides, accentuating and cutting different frequencies on each side to generate peculiar binaural panning effects. 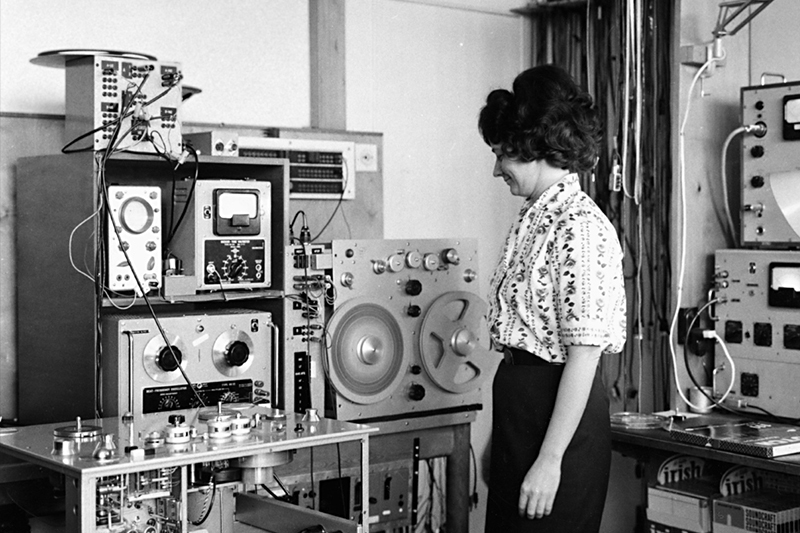 Make Noise designer Tony Rolando has stated that the original inspiration for this type of binaural filtering trick came from his experiences working in the Moog factory calibrating Voyagers—the Voyager featured an all-too-underutilized stereo filter that allowed for these same types of spatial transformations. Switching from the Voyager's two cores to the QPAS's four, though, adds a profound series of implications which I'll ramble about shortly. Before getting there, though, I want to take a moment to say that the QPAS's approach to stereo manipulation is just downright clever. Whether the initial sound source is mono or stereo, this type of location-dependent timbre manipulation is a spectacular idea, offering a refreshing alternative to the useful (but at the end of the day pretty common) VCA-based panning approach: rather than thinking about altering a sound's location in a one-dimensional stereo field, one can begin to think about how a single sound may offer different timbral characteristics based on its spatial context...perhaps a more sincere way of thinking about how hearing relates to spatial orientation in the real world. By filtering a sound differently in each channel of the stereo field, we tap into bizarre psychoacoustic territory—a part of our brain that relates phase differences in each ear to spatial location—and turn it on its head, creating swimming textures that evoke spaces with ever-changing shapes, or ever-changing perspectives within these impossible spaces. This radiate parameter also provides the potential for some other weird filtering tricks: four bandpass filters, for instance, can easily form the backbone of a formant filter. In addition to classic filter sounds, the QPAS clearly excels at all the nasal vowels, gurgles, and belches one associates with a formant filter, though parameterized in a way where groups of bands can be independently adjusted for even more peculiar vocal adjustments. 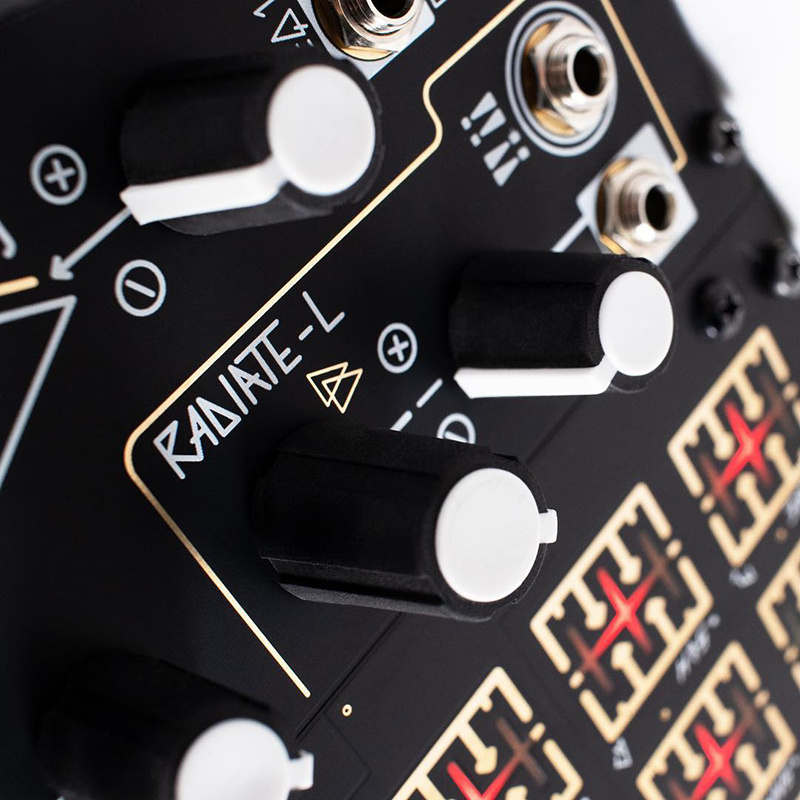 And once an interesting shape is dialed in via the radiate controls, the Frequency control takes on a behavior kind of unlike the typical cutoff knob: it shifts overall spectral focus, creating cancellations and reinforcements that shift up and down the audio spectrum. And in stereo, it's a just remarkable effect.  Let's take a brief break to talk about pingable filters! 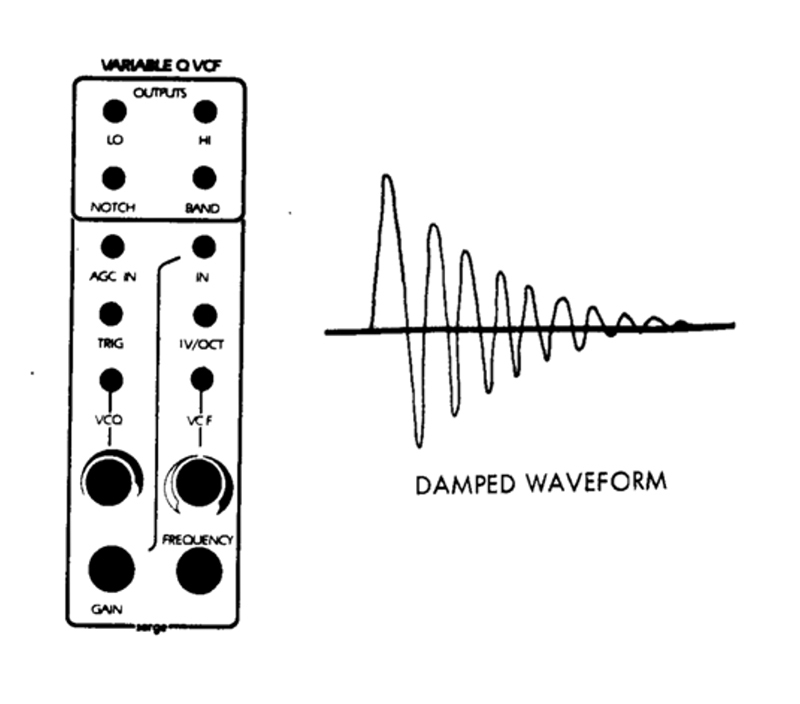 Once synthesizers began to incorporate resonant filters (and especially filters capable of self-oscillation), it became apparent that a filter could act as a crude resonator. Try taking a typical VCF (in bandpass mode, if you can), crank its resonance to near-oscillation, and send a trigger into the audio input. 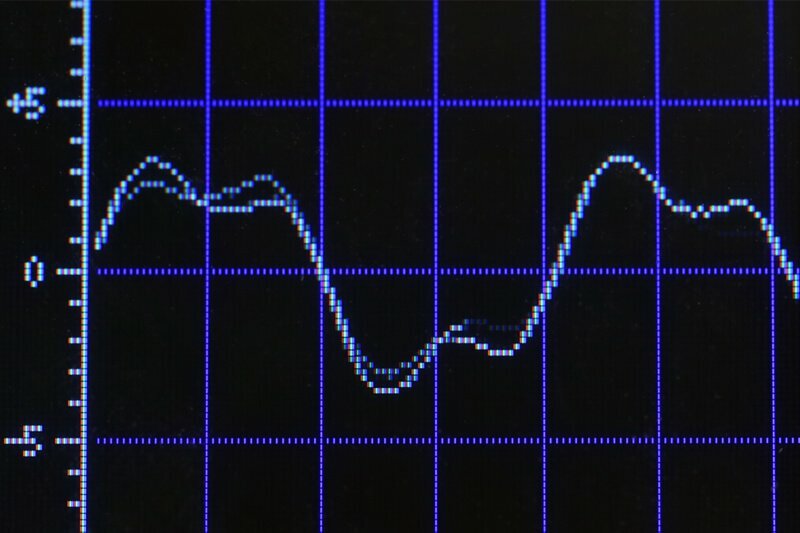 If you have an awesome filter, the end result will be a resonant ping: ideally, a sine tone with a sudden onset and a decay that varies based on the filter's Q. This type of filter was a feature of Serge modular synthesizers as early as the mid/late 1970s: the Variable Q Filter (VCFQ) offered audio inputs and a separate "Trig In," a dedicate pulse input for sending quick triggers to excite the filter as if it were a resonator. By offering voltage control of the Q, everything from quick blips to long ringing tones could emerge and could be dynamically controlled. Serge systems are famous for their modules' capacity to act in multiple roles; it's not all too uncommon to see a Serge panel that eschews oscillators in favor of using VCFQ's as sound sources...because pinging resonant filters sounds great! A handful of other instruments have employed this approach, perhaps most notably Rob Hordijk's Blippoo Box, which features a dual resonant lowpass filter optimized for this ringing response: in fact, the Blippoo Box's filters aren't labeled as filters—they're simply called the Twin Peak Resonator. 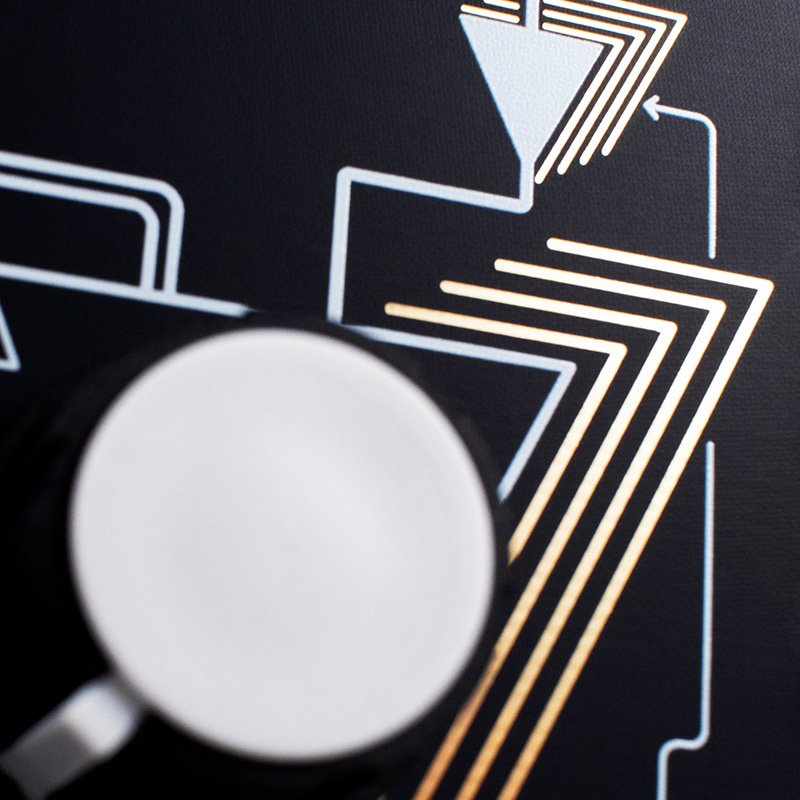 The QPAS is clearly part of this lineage, exchanging the VCFQ's single peak and the Blippoo Box's two with four separate peaks. The resonance control on the QPAS is scaled in such a way that use as a resonator comes quite easily: filters not designed with this goal in mind often jump into screechy self-oscillation quite quickly, but the QPAS's Q control is all sweet spots. 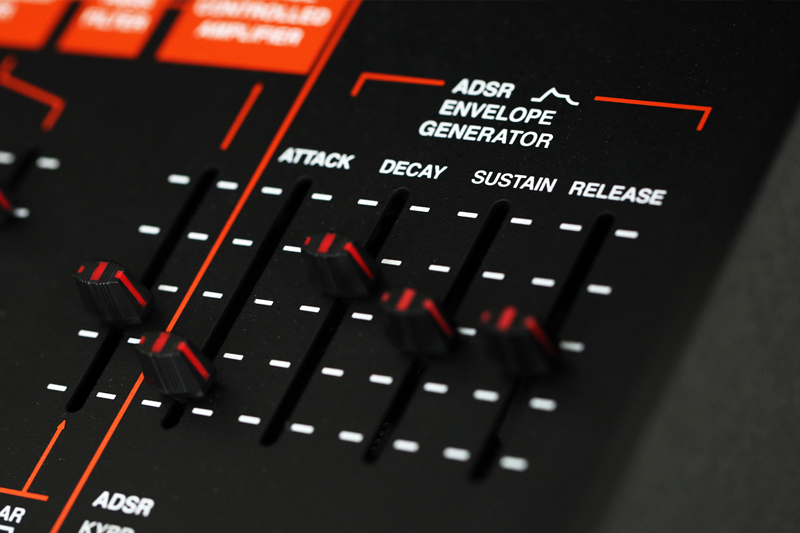 Sending low-frequency impulses or hard-edged voltages (like the output of a sample & hold) into the audio inputs creates everything from subtly dampened clicks to full ringing resonances. In this way, the QPAS can be treated like a crude modal synthesis resonator: four tunable filters that can be excited via incoming signals for generating physical modeling-like effects. Use as a modal resonator works spectacularly with low-frequency impulses, but equally well with dynamically-tailored audio sources. Another genius design choice lies directly past the inputs: a dedicated VCA for modulating the input level. This might seem peculiar in the context of subtractive synthesis, where the VCA usually follows the Filter. Using the filter as a ringing resonator though, this makes a lot of sense; a VCA at the input means that the intensity of the exciter can be varied without dampening the ring of the filters themselves. Try monitoring the bandpass out while sending white noise into the inputs and envelopes of various shapes into the input VCA's level control: a wealth of crude but lovely tones will emerge, offering everything from bowed glass to striking a clay pot and more. While not far from the topic of pinging filters as sound sources—consider frequency modulating this filter. A classic VCFQ trick involves sending an audio rate signal to the FM input and pinging the Trig In, at which point it sounds eerily like a Buchla-style FM oscillator + LPG combo. Because the QPAS does not rely on the sluggish (but lovely) vactrols found in the QMMG and Optomix, this audio-rate modulation trick totally works here, and can even be divided into relatively independent voices by pinging the left and right inputs at separate times, or by modulating the Radiate-L and Radiate-R controls with different sources. 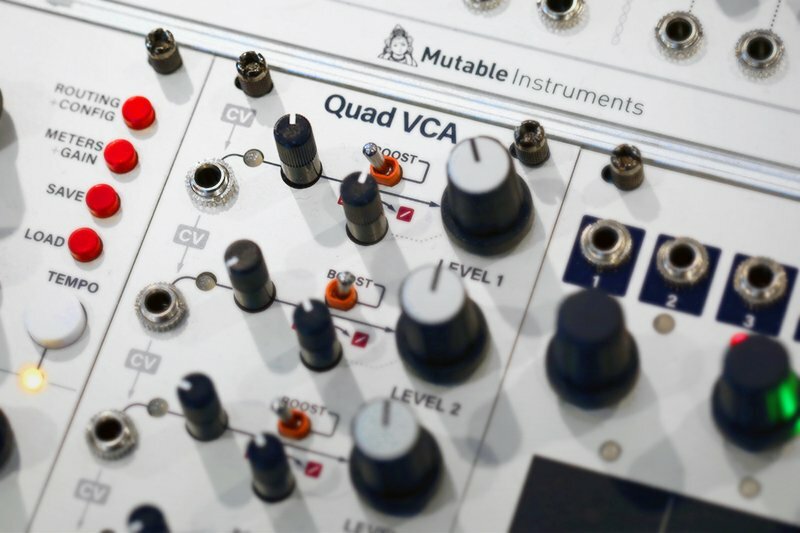 You could even use an output from one side to modulate Radiate on the other, or to create gnarly cross-modulation paths: the options to use QPAS as a complex sound source are perhaps endless. In the module's initial design, the QPAS offered lowpass, bandpass, and highpass outputs...all the things a filter should! Make Noise left some space on the panel to add another output unique to the QPAS, and Tony went to work to find the best way to tap the circuit for an extra unheard flavor. The end result is the Smile Pass output: a response wholly unique to the QPAS. Smile Pass offers a different means of animating the peaks while maintaining a relatively consistent output across the entire harmonic spectrum, unlike the other filter types which, by their nature, remove large chunks of the spectrum. Smile Pass maintains a certain degree of mystery: it provides a bizarre type of spectral animation somewhat like a phaser, but smoother—we don't quite know how it works, but it sounds spectacular. In stereo, it takes on a bizarre liquid quality where certain spectral regions seem to slip past one another in space. Ooooh boy and then there's the !!!! inputs. These are a straight-up mystery. When sending these inputs triggers they have a behavior not entirely unlike an Accent control (a la TB-303, MMG, etc. )—but that doesn't seem to be exactly what they do. !!!! 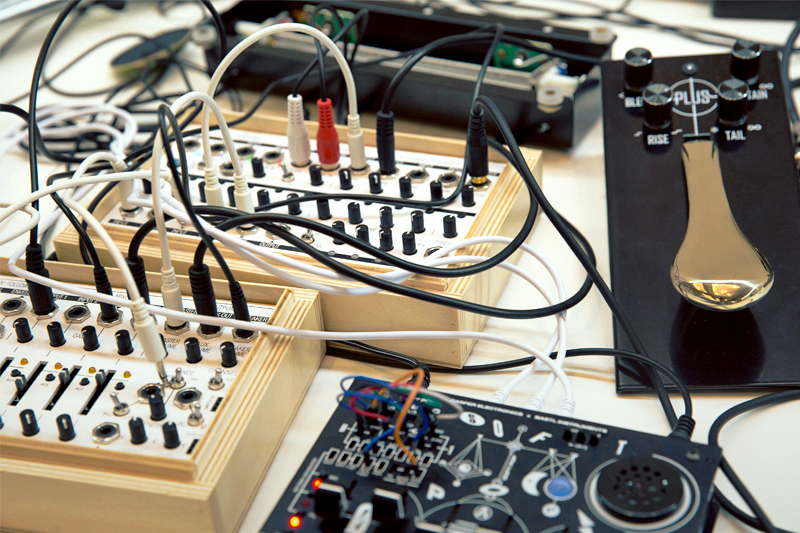 is a multi-parametric control that reaches into multiple parts of the QPAS circuit, and is best treated as a playground for experimentation: send it CV and hear how the timbre evolves; send it gates and listen to the peculiar accents; send it audio and discover a world of vocal-like timbres, pseudo-aliasing, and sounds not unlike bitcrushing and circuit bending. I have literally no idea what !!!! is, but I am happy it's there. Oh and by the way—there are two distinct !!!! inputs. While their placement on the panel might make it look as if they impact the left and right sides respectively, that is not the case. These "wildcard" inputs affect all four filter cores in different ways, with the left producing generally subtler and the right generally more extreme distortions and sidebands. It's the cherry on top of an otherwise already spectacular module—or maybe it's a blackberry, or a banana, or something far more sinister. If you have made it this far, then you no doubt realize that I am smitten with the QPAS. Even as the cynical filter-hater that I am, I find so much to look forward to in the QPAS: a multidimensional playground of binaural mysteries, mischievous modulations, and pure ringing tones. 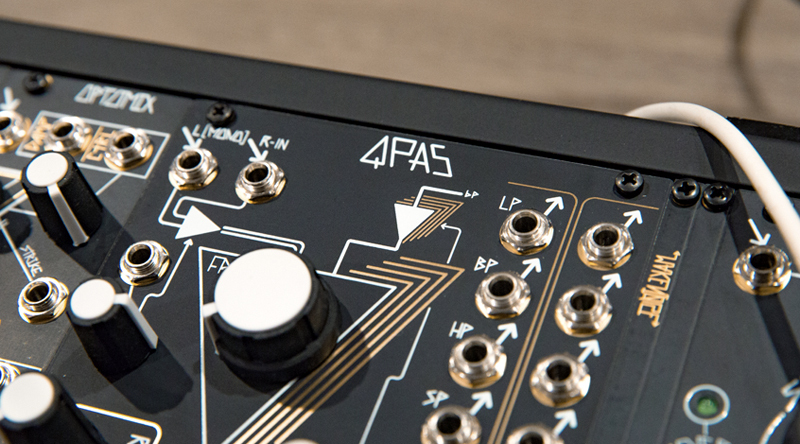 The QPAS is, of course, a welcome addition to Make Noise's increasingly stereo-oriented lineup: it will no doubt pair fantastically with an Erbe Verb or Morphagene, let alone the two oscillators of the DPO. It will most likely pair well with anything it comes across. For me, the most exciting thing about the QPAS is its characteristic Make Noise-ness. Make Noise could have made a relatively simple filter (even a stereo filter), could have re-designed the MMG, could have done any number of more conventional things—and everyone still would have loved it. As time goes on, though, Make Noise consistently prove that they are not interested in the status quo: they are in it to bring new ideas to the table, to create tools that inspire, to create instruments that make us conceive of sound in ways we never have, to offer techniques that turn our workflows on their heads. And music is all the more interesting for it.